There’s a meme that goes “I’ve been single for a while and I have to say it’s going very well. Like, it’s working out. I think I’m the one.” If you laughed at that, then this is the (a)romantic album you didn’t know you needed. 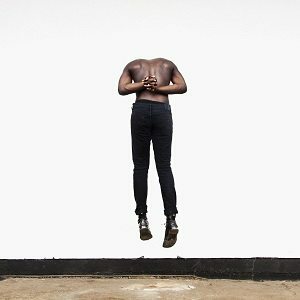 Moses Sumney has been popping up on compilations and soundtracks for a while, notably Solange’s A Seat at the Table, the Beck Song Reader and last year’s sprawling Grateful Dead tribute Day of the Dead, but none of those projects touch the dark depths of the soul he plunders in Aromanticism. The sound of the album is sparse and the feeling decidedly moody. Blue chords are plucked out beneath a strong falsetto that lifts as high as Curtis Mayfield’s voice. There’s also an enveloping warmth that calls to mind Terry Callier. That’s not to imply the album is folk, but there’s a musical kinship between what Sumney is doing and Callier’s lonesome, ethereal sound. So you haven’t found “the one” yet? Moses Sumney, in a swirl of synths and croons, reminds you that you, by yourself, are enough. 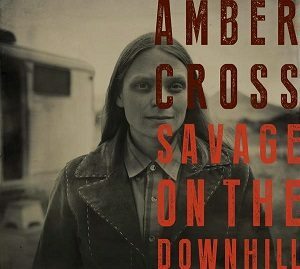 As the daughter of a minister and a piano player, Amber Cross’s album, Savage on the Downhill, has the unadorned ferocity of a New England preacher and the straightforward clap of an upright. Her style is plain country that’s indebted more to Loretta Lynn and the old southeast open-throated country singers like Roy Acuff, than the slip note heritage of Lefty Frizzell. So austere is the instrumentation, in fact, that the songs themselves need to shine. And shine they do. Like gold flecks in a creek catching your eye Ms. Cross’s songs are the glittering and hard scrabble vignettes of country people living their lives. They call to mind the roughhewn, yet tender songs of Jim Ringer and the short stories of Annie Proulx . To steal from Ivan Doig, she’s a “lariat proletariat,” but watch out, the album will break your heart. 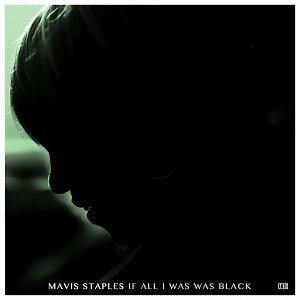 Mavis Staples is the apotheosis of roots music. Her history with The Staple Singers and her solo albums remain the epicenter that everyone else spins out from. Weighty words, no doubt, but she is the singer for our time. This is the third album that Wilco’s Jeff Tweedy has produced for her and all the songs were written by him or with Ms. Staples. The song titles themselves leave little ambiguity on her state of mind: “No Time For Crying,” “Try Harder,” and taking inspiration from Michelle Obama “We Go High.” It should be mentioned that the album also grooves. It’s not looking to preach at you, but instead get you on your feet. Leave it to a gospel singer to remind us that actions weigh more than tepid thoughts and prayers. The new album from legendary Malian blues musician, Boubacar Traoré, is stunning. The old country and new are so close as to simply be the rise and fall of a chest in breath. His early years were performance and little if any is on record. Almost thirty years after he began playing professionally he finally signed a record deal and has since released 11 albums. 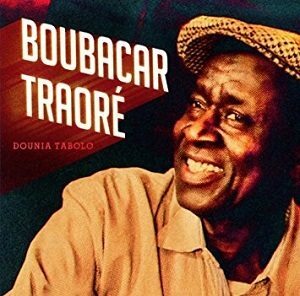 Dounia Tabolo is something of an underground roots and world music super group with Leyla McCalla (Carolina Chocolate Drops), Cedric Watson (Pine Leaf Boys), Vincent Bucher, Alassane Samaké, and Corey Harris all lending their talents. At 75 his voice and playing remain strong and resonant with love and life. There’s the well, and then there’s the river that fills it. It’s been seven years since the deliriously creative American Expat who once mailed John Prine a cassette of his original songs which landed him a record deal has put out an album. His fans have been more than patient. Perhaps that’s the lesson being taught. 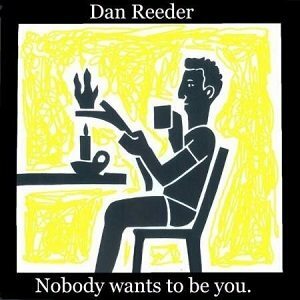 Reeder’s songs come at you on multiple levels, there’s crass humor, absurdist eye-pokes, and weighty philosophical musings obscured by layered vocals and zen(ish) jokes. The EP starts with the fierce honesty only a true friend can deliver: “you’re gonna have to tell her where the money went / why you can’t pay the rent” (hint: mobsters – that’s why nobody, and Dan means nobody wants to be you. Now it must be said that Dan swears in his songs, but instead of sounding obscene it all somehow comes out hilariously profound. Now what the @#$% is that about?